I have some questions concerning a Job posting, I cant seem to find a way to contact the employer (or recruiter?) to have those answered. The only option I see is [Apply Now], I don't want to apply just yet, I would like some info first. Is this possible? Here is an example. 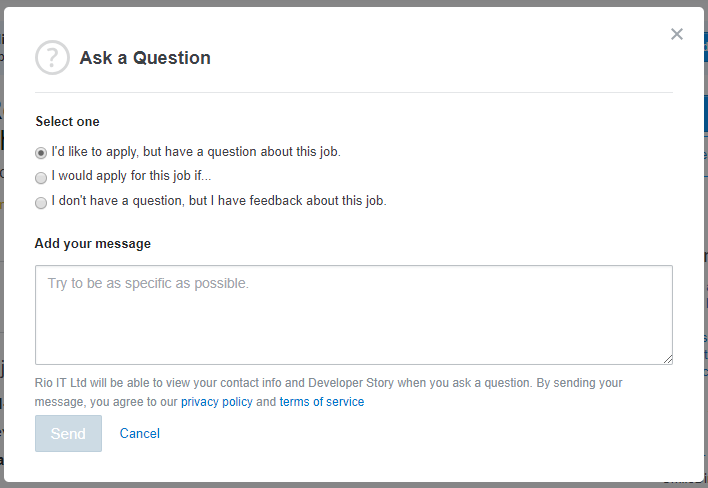 Allowing candidates to contact the company before applying is something optional that the company must enable when publishing a job listing. So, not every job listing has this option. 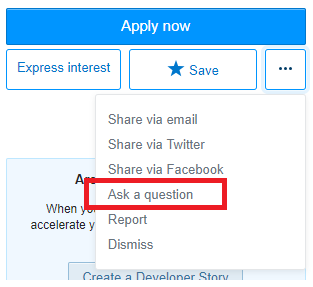 This option will open a modal dialog that will allow you to write a question to the company before applying. Does clicking “Not interested” prevent an employer from making any future communication with me? How to show profile details only in career sections?